Da Nang, Vietnam - A young Marine private waits on the beach during the Marine landing. - August 3, 1965. Image courtesy of Wikimedia Commons (Public Domain): National Archives and Records Administration (532432). When it comes to America’s involvement in the Vietnam War, many excruciating stories have emerged about the long, costly and contentious conflict that played out against the backdrop of the Cold War between the US and the Soviet Union. Still, a lot of tales remain untold because many Vietnam Vets were left too traumatized to remember the details or they’ve never been interested in, or willing to, reveal the sights, sounds and sentiments they had to deal with. At the start of the war I was yet to be born and a teenager when it ended. In South Africa, we got our fill of the hostilities via Hollywood, films like The Deer Hunter, Apocalypse Now, Platoon, Taxi Driver, Born on the Fourth of July and many more— stereotyped portrayals of blood and gore, the American superhero, anti-war protests, and traumatized victims of war. However you look at the Vietnam War—be it as a soldier who was there and survived or a family member of someone who did not, or whether as a complete outsider—the impact of that saga has been immense: eradication of Vietnamese villages and infrastructure, loss of life on both sides of the enemy line, war veterans left without limbs and means to support themselves, post-traumatic disorder syndrome that’s ongoing to this day. The list goes on: more than $120 billion in American military spending that led to widespread inflation; shattering the myth of an indomitable world power; a bitterly divided United States; global upheaval that’s become the default condition of our time. 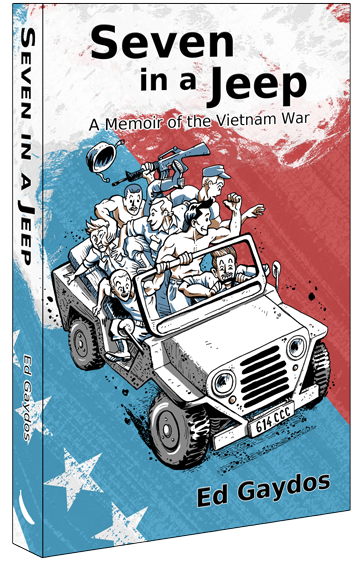 I’ve just read and reviewed one of the latest memoirs of the Vietnam War Seven in a Jeep by Ed Gaydos. Ed Gaydos studied seven years to become a clergyman, a result of him idolizing all three of his dad’s brothers who were Catholic priests. During a program of spiritual formation at St. Joseph’s Seminary, he struggled with the notion of disciplining the body as a reminder of one’s essential spiritual nature. But it was only later, studying philosophy and theology at the major seminary near Oconomowoc in Wisconsin, when he realized that the job would include a life of celibacy. He promptly joined the military, where he quickly learned there were also very few women. After a stint in Vietnam, Ed returned home to continue his education, earning master’s degrees in philosophy and counseling psychology, and ultimately a PhD in industrial psychology. He worked at Anheuser-Busch in St. Louis for twenty-one years, after which he spent seven years with Limited Brands in Columbus, Ohio. Now living in retired bliss with his wife, Kathleen, Ed coaches young executives and provides the occasional consultation, as well as works on a sequel to his memoir. He can be contacted here: website / Facebook. Ed met his future wife nine months before leaving for Vietnam. From his training assignments all the way through his tour in Vietnam, he wrote letters to Kathleen and his family. These letters were converted into his book. The impetus to write his memoir came at a family get-together when his nephew showed off one of his prized possessions: one of Ed’s Vietnam fatigue shirts that had become rather threadbare over the years. Ed thought, Would this be my legacy, a fatigue shirt with no name, the history it held gone forever and soon to become a rag? Seven in a Jeep is essentially a celebration of the soldiers of the U.S. military and the real men of Vietnam. It is thus a perfect fit for any national commemoration. This is what I've been able to ascertain regarding the author's promotional activities. 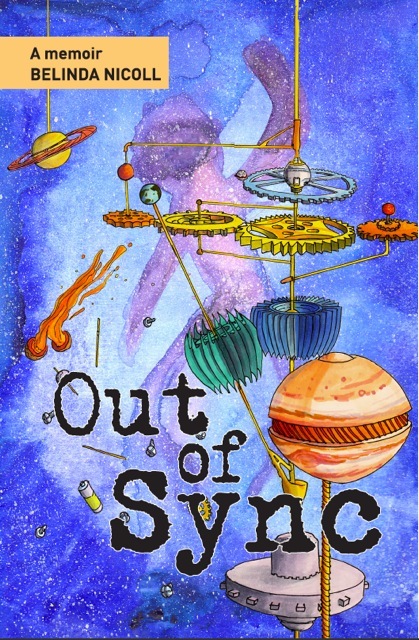 The author was on hand at the 2013 New Albany Founders Day celebration (May, 18th), where he met and greeted readers. The Kindle version was on offer at a 40% discount over the 2013 Memorial Day weekend. On June 14, 2013, the Kindle version was on sale at the reduced price of only $2.99 in recognition of Flag Day. Ed Gaydos recently went on tour through northern Ohio and Michigan to meet with guys who fought with his old Vietnam artillery battery. He has been booked to speak at a number of locations around centrial Ohio in the coming months, the most recent event taking place at the Wild Goose Creative in Clintonville. It’s clear from all that has been written about Vietnam that U.S. war veterans have strong feelings about their experiences. Although each soldier’s memories bring a different perspective to this crucial time in the nation’s history, and while some of the details might’ve faded over time, the sense of camaraderie will obviously never be forgotten—it helped them to stay sane, and you get from Seven in a Jeep that looking out for each other was vital to their survival. Written in vignette style, this war story is easy to read. As Gaydos advances from military training to combat service at Landing Zone Sherry, a grim artillery firebase in Vietnam's Central Highlands, his values about the sanctity of life quickly transforms to a willingness to kill. But the author seemingly doesn’t take himself too seriously and it’s as easy to laugh at his insights about the day-to-day boredom as his witty accounts of the terrifying mortar attacks on their base. Expect to find lots of the dark stuff in Seven in a Jeep: keeping the dog population under control, mismanagement of paper work, soldiers diagnosed with STD, illegal dealings of all sorts, politicians and the Pentagon abusing the situation for their own benefits. Some of the actual letters Gaydos wrote to his girlfriend and family made it into the book, which is a nifty literary device in terms of lending authenticity to his accounts. While the author’s writing might seem devoid of emotion, the blatant specifics don’t fail to move you: the hazards of the jungle, swamps and monsoons; the Viet Cong using defenseless children as bait; the U.S. solders’ paranoia about getting killed; the practical jokes that serve to sooth their misery. The Pentagon has had their fair share of scandal, though, and the latest debate of military sexual assault shows that "men are overlooked victims." More criticism against the Vietnam War, and the concept of war per se, is launched from a different angle: another author, historian, and U.S. foreign policy critic—William Blum— who says, "Over the past four decades, of all the reasons people over a certain age have given for their becoming radicalized against US foreign policy, the Vietnam War has easily been the one most often cited." What about you - how did you perceive the Vietnam War at the time? Looking back, has your opinion about this historical event changed?What are your feelings about war in general - will world peace will ever be a reality?